Okay so I have been toying with this idea for a while now, seeing if I can think of enough ideas, if it will be manageable whilst I have my dissertation and stuff going on but I've decided to bite the bullet and make time to do it. Basically I will be posting on Fridays fortnightly five ways to wear a particular thing. Pretty much anytime I buy something before actually going through with the purchase I try to think of different ways that I could wear it. I have fallen into the trap so many times of buying something and it looking really great with one outfit and then that is it I can't make it work with any of my other clothes. I'm not like a wear once and never again kind of person, and I don't really think many of us are so hopefully this can offer you all some outfit inspo and will get me thinking of what I already have in my wardrobe instead of running off to buy new bits all the time. 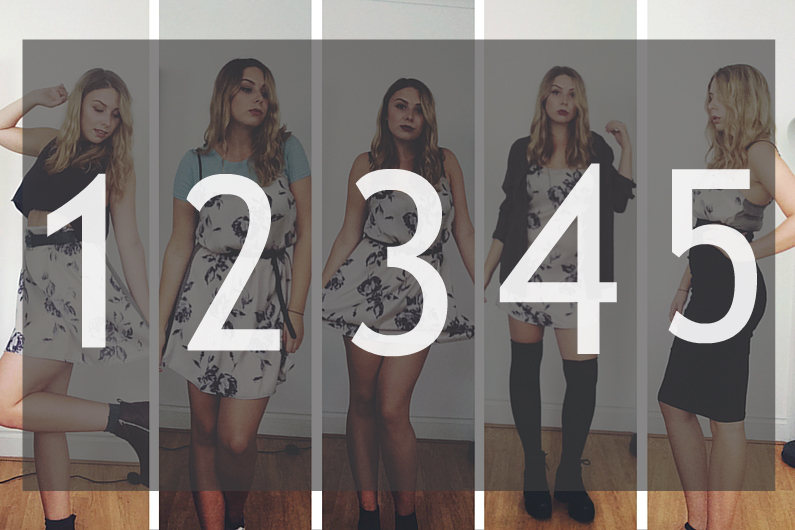 I did try out a 5 Ways to Wear as one of my first blog posts (you can see how long this idea has been brewing) and I have to say it is one of my favourites that I have ever done. So to get a idea of what is to come click here. Bit of a cheat post shamelessly dropping in an oldie but why not! Be back next Friday to see what I have in store for you!